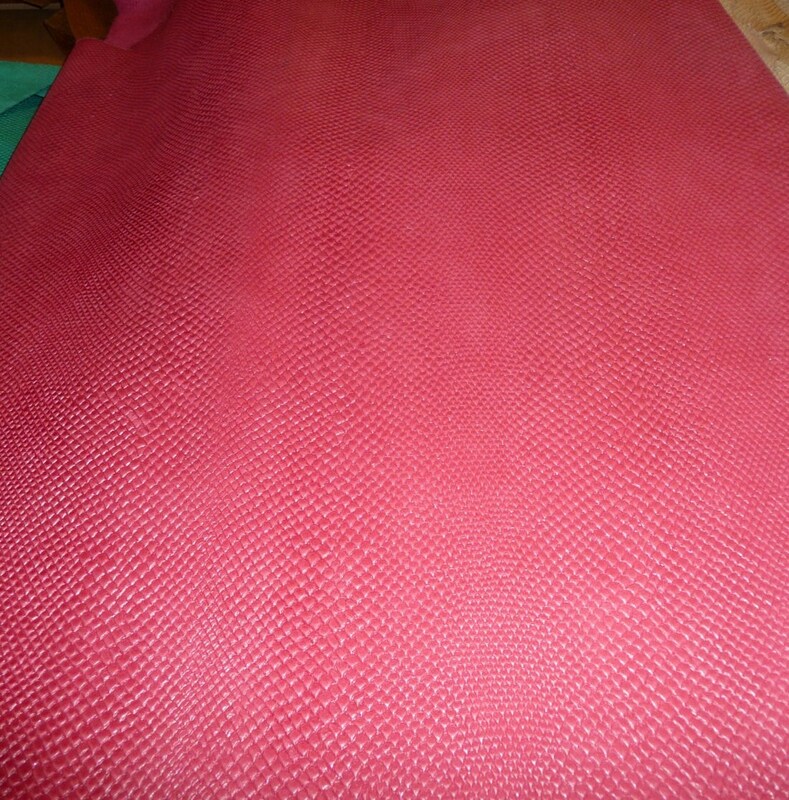 This leather is pliable and flexible and butter soft. The backside is a hot pink suede that may not be pretty. Some pieces might have a stamp or fleshings other marks on them. 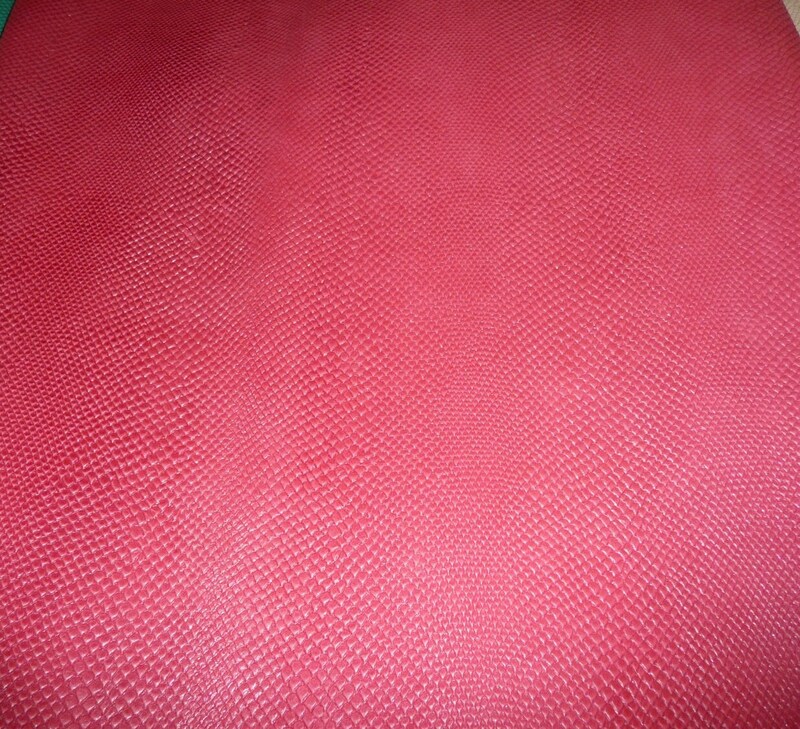 Beautiful leather and wonderful color. Looks wonderful on a pink purse that I designed!